The wonders of science never seem to stop happening, wouldn’t you agree? Science has practically touched every profession and improved it in a lot of ways. Innovations and new methods and more efficient techniques and improvising the existing techniques, we are today living in an age where science is basically shaping everything around us to make our lives better. The profession of medical has benefited loads from science. Today even the most complex surgeries have been made simple by use of technology. Scientists are able to provide vaccines and antidotes for so many diseases which were once considered untreatable. This time inventor Richard Van has managed to build himself new fingers after losing his in a woodworking accident. Although it would have been much easier to give up and accept the decision of fate. However, Richard decided to fight back. For this battle he needed a companion and he chose his quite wisely. Meet Ivan Owen, a person who made his living by creation of mechanical puppetry. This was the particular skill set that Richard required for his endeavors. Richard’s decision to fight back has changed a lot of lives and persons’ perspective about life. Richard says he had his mind made up about building new hands even before he left the Operation Theatre. These two partners, living miles apart, started working on the project. It was hard because of the fact that Ivan lived in Seattle while Richard lived in South Africa. Coming up with a prototype this way was turning into a nightmare when came the help; MakerBot. The use of videoconferencing and cloud computing had its perks. But it was hard to prototype a device for someone who lives so far off. We have talked so much about 3D printers and what wonders they are doing for the world of science. MakerBot is a New York based 3D printing company which helped this quest by providing the companions with two new MakerBot 3D printers. This proved to be the crucial thing since it became a walk in the park to come up with a prototype which could be tested right away. 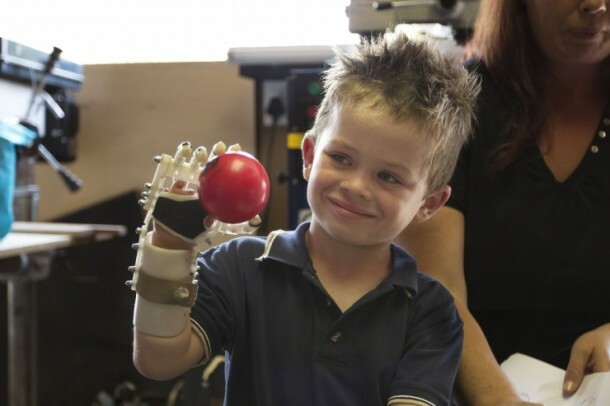 The quest ended successfully and without much delay once the partners had access to these 3D printers and that’s when it clicked Richard that this research could very well be used by others and in providing prosthetic hands to the deserving. There is a disease known as Amniotic Band Syndrome; children born without fingers. This research, successful, could prove to be the light these children yearn for. 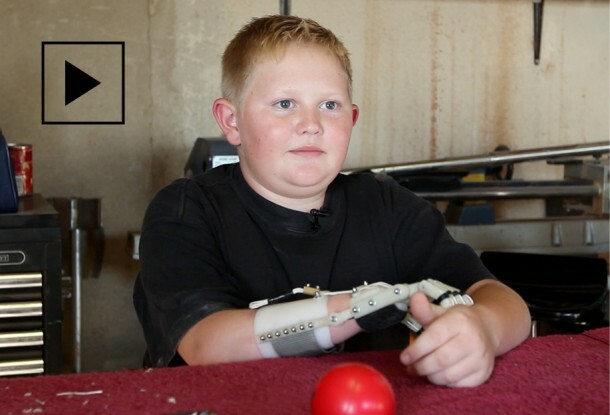 The price for this 3D printed hand is $150. The hand known as Robohand has already helped a total of four children and Richard and Owen are hoping to see this number rise up. The design and steps to print Robohand are available on MakerBot’s thingiverse site for those who need them. As an ending note we would like to really commend the idea of 3D printing. We have seen it being used for 3D Printed gun, The Liberator, and for other stuff; however, this particular use by far exceeds them all. Keep tyis going please, ?reat job!